Why do you think people make such a fuss about the fall foliage display? The article identifies several ways Mother Nature can prevent a spectacular fall foliage display. What are they? In the article, foliage expert Jeff Folger calls leaves that display brilliant fall colors "happy leaves." Based on what you learned, why is this a fitting description? Why do you think a forecast of fall leaf color in New England is important enough to become a national news story? This collection from the Smithsonian Center for Learning and Digital Access highlights beautiful artwork depicting the autumn and fall foliage. 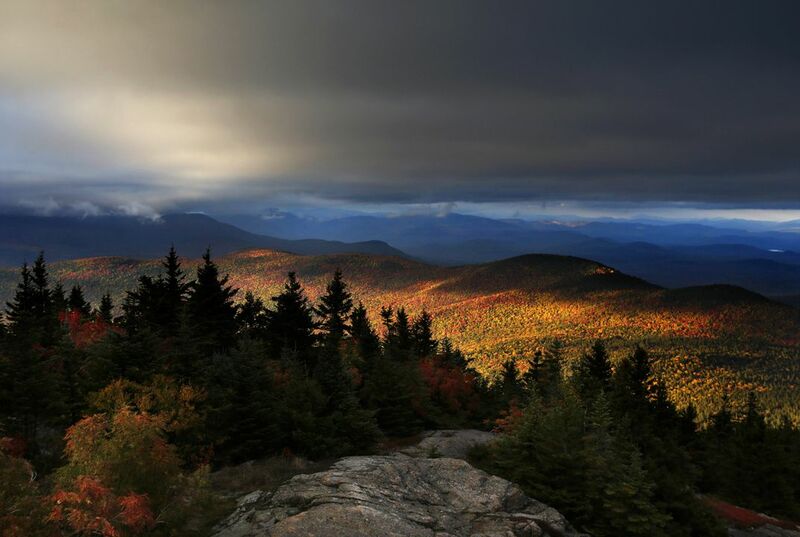 You don’t have to live in New England to see spectacular fall foliage. Read this Smithsonian article to learn about some off-the-beaten-path locations that also boast amazing autumn blazes. Take a journey over the fiery red foliage of fall and the covered bridges of Montgomery, Vermont in this video from the Smithsonian Channel. In this lesson from the Cooper-Hewitt, Smithsonian Design Museum, students observe patterns and symbols in everyday objects. Then they brainstorm ideas, collect and analyze data and construct graphs and graphic organizers about their observations. This trip from Smithsonian Journeys is an excellent example of an autumn adventure itinerary. Participants experience New England’s breathtaking fall foliage, weathered mountains, rocky coastlines and charming towns while riding the region’s historic train lines during the height of autumn. Would you like some help identifying some of the spectacular leaves you see this fall? Then check out Leafsnap, a series of electronic field guides being developed by researchers from Columbia University, the University of Maryland and the Smithsonian Institution. Heirloom Garden: What’s Blooming in Autumn? Leaves aren’t the only plant part to undergo change during autumn. This is also the time of year when many flowers bloom. Use this bulletin from Smithsonian Gardens to introduce students to a few of the flowers that bloom in the Smithsonian’s Heirloom Garden during the autumn months. Challenge students to identify fall-blooming flowers near you! This teaching guide includes a lesson plan originally published as “Smithsonian in Your Classroom” that introduces students to the work of botanists and botanical illustrators. Following the methods of Smithsonian artists, students will try their own hands at botanical illustration.